Meet young men with grand goals in these profiles of forty-six movers and shakers who made their mark before they turned twenty. This engaging and thought-provoking collection of influential stories provides forty-six illustrated examples of strong, independent male role models, all of whom first impacted the world as teenagers or younger. 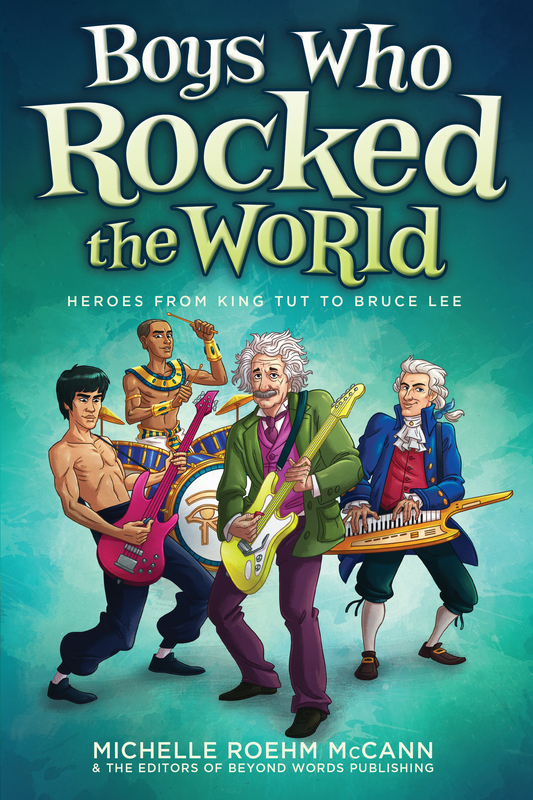 This updated and expanded edition of Boys Who Rocked the World encompases a variety of achievements, interests, and backgrounds, from Wolfgang Amadeus Mozart and Steve Jobs to Crazy Horse and Stephen King—each with his own incredible story of how he created life-changing opportunities for himself and the world. Personal aspirations from today’s young men are interspersed throughout the book, which also includes profiles of teenagers who are rocking the world right now—boys like John Collinson, the youngest person to climb the Seven Summits, and Alec Loorz, who founded the nonprofit organization Kids vs. Global Warming. It’s never too soon to start making a difference, and this empowering collection of accomplished young men makes for ideal motivation. As my eyes grew accustomed to the light . . . I was struck dumb with amazement. Ten-year-old Tutankhamun nervously approached the great Karnak Temple. The last in a long line of rulers, young Tut was to be crowned pharaoh of Egypt. It was now his job to oversee the largest empire in the world, which stretched from Africa to Asia. Will I be remembered as a great leader too? he wondered as he walked past the great monuments and statues of the pharaohs who had ruled before him. The cheers from the crowd at the temple grew to a deafening roar as the boy entered. Would the boy pharaoh bring prosperity back to Egypt? He was their last hope. Several priests poured sacred water from golden urns over Tut. Then they placed the magnificent three crowns of Egypt on his head. There was the tall, white crown of Lower Egypt, then the red crown of Upper Egypt, and finally the khepresh, a blue crown representing Egypt’s vast armies. Thousands of Egyptians looked on in hushed silence as the priests balanced the triple crown on Tut’s small head. Even though his reign was brief—only nine years—Tut’s dream to be remembered came true. Though he ruled over three thousand years ago, he is now the most well-known of all the Egyptian pharaohs. As ruler, he helped return a crumbling empire to its former prosperity and stability. His tomb, filled with an immense wealth of gold and priceless artifacts—as well as a mysterious curse—has only helped solidify young Tut’s legend. King Tut was born in 1347 BC in Egypt’s rich, green Nile valley. His name, Tutankhamun, meant “strong bull,” which suited Tut well. As a young man, he was praised for his strength and skills as a hunter of ostriches, peacocks, ibexes, gazelles, and wild hippos. His father was Pharaoh Akhenaten, who was not well-liked by Egyptians since he had defied the traditional religion, which had many gods, and singled out one god as worthy of worship. Akhenaten had also moved the capitol from Thebes to Amarna, further angering his people. Growing up in Amarna, young Tut was a bit of a slacker. His older brother, Smenkare, was next in line to be pharaoh, so not much was expected of Tut. When he wasn’t learning to read or write Egyptian hieroglyphs (pictures that represent words), Tut did what most kids do today: he goofed off. He hunted and raced around in chariots, played Senet, his favorite board game, and swam in the Nile with his siblings. When Tut was seven years old, he received the shock of his life. Smenkare got very sick and died. Suddenly, Tut was destined to inherit all his father’s duties as pharaoh of Egypt. No more slacking—it was time to cram! Tut’s lessons got a lot harder as he prepared for his new role. Good thing he crammed. . . . Just two years later his father died. Only nine years old, Tut was now the ruler of the Egyptian empire and had the huge responsibility of unifying Egypt after his father’s rocky reign. Tut decided to bring back the traditional religion his father had outlawed and to return the capital to Thebes. When the young pharaoh moved back to the capital, a coronation ceremony was arranged so that all of Egypt could be introduced to their new boy king. Once crowned, Tut quickly ordered the rebuilding of the old temples that had fallen into disrepair during his father’s reign. With the guidance of priests, he performed ceremonies to improve the harvest. (Most people in Egypt made their living from farming.) Tut was also in charge of Egypt’s gigantic army, and with the help of his military advisers, he won several battles. In his tomb, Tut was buried with over 140 pieces of jewelry, including 15 rings, 13 bracelets, many amulets, and a crown made of pure gold. He also had 93 pairs of shoes and 415 statues of servants to serve him in the afterlife. By age fifteen, Tut was growing into a strong and trustworthy leader. He brought stability back to Lower and Upper Egypt, and comfort to people who honored the traditional religion. Tut was also proving to be a skilled negotiator, helping to solidify relations between Egypt’s neighbors, Assyria and Babylonia. Egypt, which had experienced dark days during Akhenaten’s reign, was making a comeback. Crops along the Nile were bountiful, and Egypt’s many storehouses overflowed. But King Tut’s reign ended almost as quickly as it began. At the age of eighteen, King Tutankhamun suddenly died. No one is sure why. Was it disease? Was it an injury from one of his chariot rides? It’s still a mystery today. Many scholars believe that Tut was assassinated by someone close to him who wanted his power. Maybe Tut was becoming too independent and would no longer listen to his advisers. Whatever the cause of his death, it was a shock to the Egyptian people. The Egyptians believed that in order to preserve a person’s ka, or soul, the dead body had to be mummified and placed in a tomb. Since Tut’s death was unexpected, the Egyptians had to work frantically to put together a tomb for their king. Inside the tomb, they placed items that would keep their king entertained and comfortable in the afterlife. Then they created false chambers and hidden passageways to lead robbers away from its many treasures. Three thousand years passed, and shifting sands, grain by grain, covered the burial area—Tut’s tomb vanished from sight. Much of what we know today about King Tut’s life comes from his tomb. In 1922 archaeologist Howard Carter uncovered a buried chamber in an area of Egypt called the Valley of the Kings, where most of the pharaohs were buried. Behind a secret door, Carter found the tomb of King Tut, almost perfectly preserved. It contained amazing artifacts—a golden mask and coffin, food vessels, jewelry, chariots, bows and arrows, statues of servants, game boards, furniture, and a magnificent throne. Among the treasures, Carter discovered a clay tablet with hieroglyphs on it that warned: “Death shall slay with his wings whoever disturbs the peace of the pharaoh.” He also found a statue that read: “It is I who drive back the robbers of the tomb with the flames of the desert. I am the protector of Tutankhamen’s grave.” With his eyes on the other treasures, Carter quickly forgot the warning words until two weeks later when Lord Carnarvon, the man who had paid for the expedition, got sick and died. Some thought it was from malaria, but others believed it was King Tut’s curse. Next, a friend of Lord Carnarvon visited the tomb. The following day he got a high fever and suddenly died! Soon all sorts of deaths were linked to the discovery of Tut’s tomb. Within ten years of opening the tomb, almost thirty people connected to the excavation had mysteriously died. In ancient Egypt, men and women both wore black eye makeup made of lead ore. The makeup was considered stylish but also helped protect the Egyptians from eye infections and the harsh, desert sun. Finally, Dr. Ezzeddin Taha, who had examined several people involved in the excavation of Egyptian tombs, noticed that many of them suffered from a strange fungal infection. His research revealed that some fungi could survive for up to four thousand years in mummies and tombs! Symptoms of the infection were a high fever and an upper respiratory infection. Dr. Taha made a public statement saying that superstitions about King Tut’s curse were silly, especially now that he had found the real reason people were dying. Coincidentally, after making this important scientific breakthrough, Dr. Taha died in a car crash. People today still debate whether Taha died because of the curse or because he had the fungal infection, which may have caused him to pass out and crash the car. X-rays of the mummified Tut show that he might have died from a head injury—more proof for those who think he was murdered. King Tut’s death and tomb may be shrouded in mystery, but it is no mystery that, as one of the youngest pharaohs of Egypt, his memory lives on. His leadership and diplomacy skills helped strengthen Egypt’s economy and return people’s confidence in the pharaohs. His short life, his amazing tomb, and its curse have made him the most famous and well-known of all Egyptian kings. Like the ancient scribes of Egypt wrote, “Let your name go forth, while your mouth is silent.” For no other pharaoh has this been more true than for King Tut. My plan is to get high up in the government and then propose the eco-car bill. There would be a recycling program where people would trade in their gas guzzling cars for a small amount of money. Charging stations for electric cars will be placed all around the country, and the electricity will be inexpensive. This bill would make it so a lot more people will use public transportation. This will affect many people because it will boost awareness about global warming and reduce our carbon footprint. This title is a perfect motivational tool for young men. It hits home about how you can do what you dream even at an early age if you work hard. 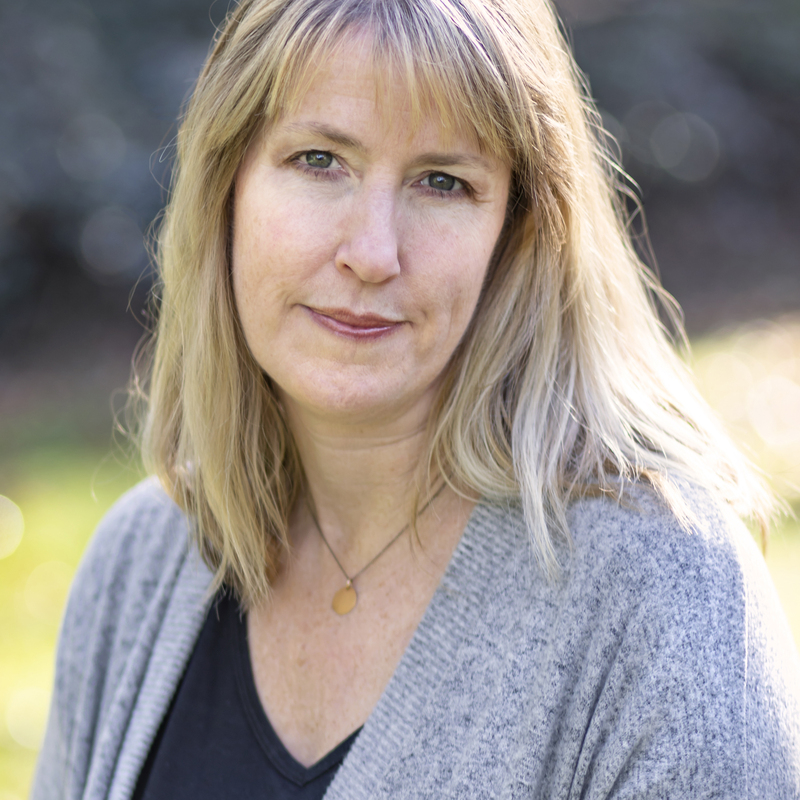 "In an appealing, conversational style, McCann presents minibiographies of boys from all over the world, from ancient to contemporary, who prove that youth need not be a barrier to "rocking the world."